More commonly known as Cushing’s disease, hypothyroidism is a condition in which the thyroid gland does not produce enough hormones. Just as in humans, there is a form of Cushing ’s disease in dogs as well. Most often found in larger breeds, but known to occur in smaller and toy breeds as well, hypothyroidism in dogs is a much more common condition than you might think. A blood test can reveal if the symptoms are in fact a result of Cushing’s disease. Once a veterinarian has determined the dog’s condition is hypothyroidism, what options are available? Keep in mind, any treatment of hypothyroidism in dogs that has not been fixed should never be done with the intent of breeding the dog, as the condition is likely to pass in pups. Conventional treatment of hypothyroidism is a daily pill regiment of a synthetic thyroid hormone; most commonly thyroxine (levothyroxine), also known as T4. The hormone is one produced naturally in the thyroid gland, and is converted by the body into triiodothyonine, also referred to as T3. However, if the dog’s body is unable to make this conversion, then a supplement of triiodothyonine will be needed as well. This treatment of thyroid disease in dogs must be continued for the rest of the dog’s life, as it can cause the thyroid to cease production of the hormone completely, or even cause hyperthyroidism—production of too much of the hormone. Even without complications, the pill treatment should be continued indefinitely. If conventional treatment sounds drastic to you, speak to a veterinarian about other options. There are alternative treatments for hypothyroidism in dogs, recommended by holistic veterinarians. These usually involve natural or herbal supplements, diet changes, and more frequent exercise. Natural treatments include bladderwrack (kelp), or Astragalus membranaceous (Huang Qi), or licorice root. Of course, any treatments, natural or conventional, should be given at the direction of a veterinarian. 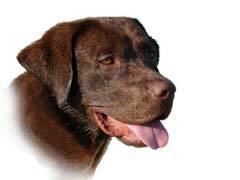 With the proper diagnosis and treatment, a dog with hypothyroidism can still live a full, healthy life. Any treatments should show results in around four to six weeks.